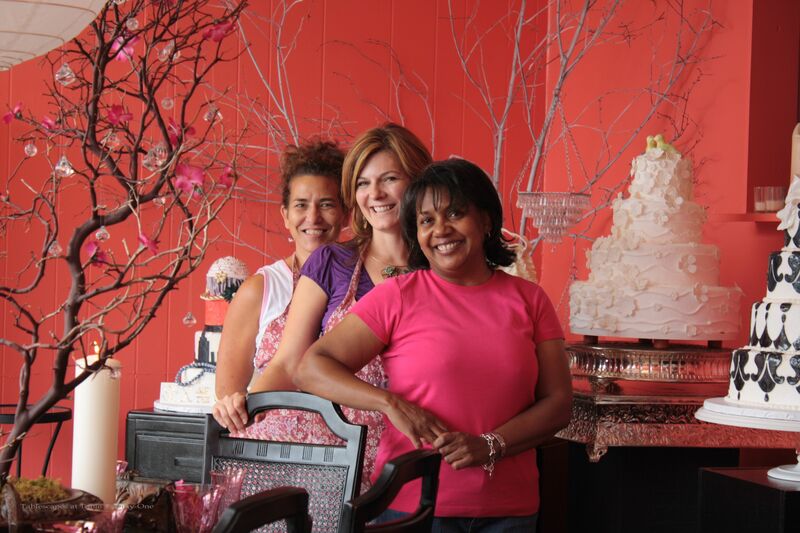 Owners Rebekah Foster (The Cake Studio) and Michelle Rice (Iced Art) have a really fun, eclectic style that translates into stunning, picture-perfect cakes. 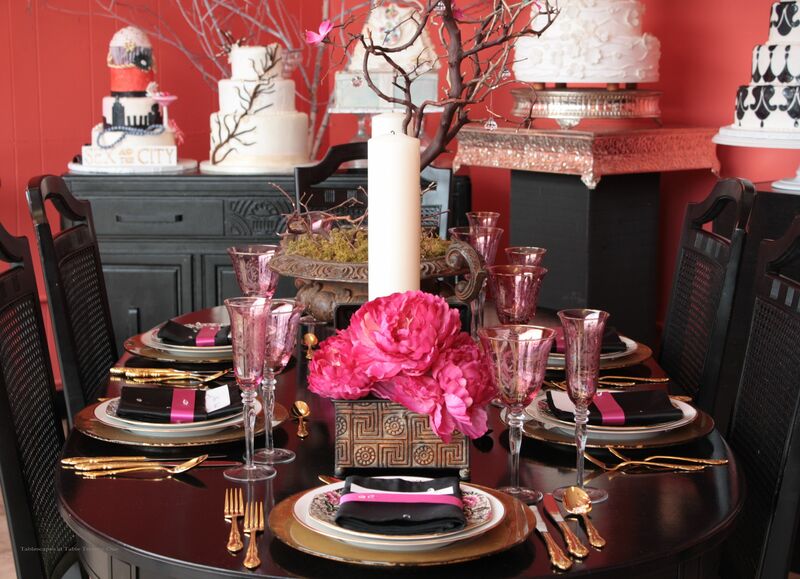 With their fabulous confections and the bright coral walls of the shop as a backdrop, I dropped in a wedding tablescape depicting a formal dinner look made contemporary by the combination of black and hot pink. 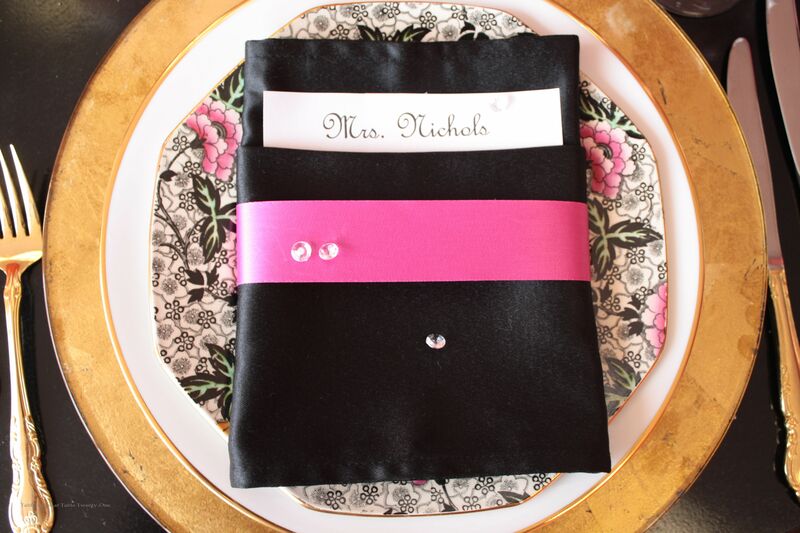 The BB&B black polycotton napkins are folded to accommodate a place card or menu and banded with simple hot pink ribbon. This magnificent centerpiece, created by Dana Nigro at Village Gardens in Blue Springs, MO is a remnant from my days as an event designer. The sturdy manzanita branch is dotted with pretty hot pink flowers and dazzling crystals. 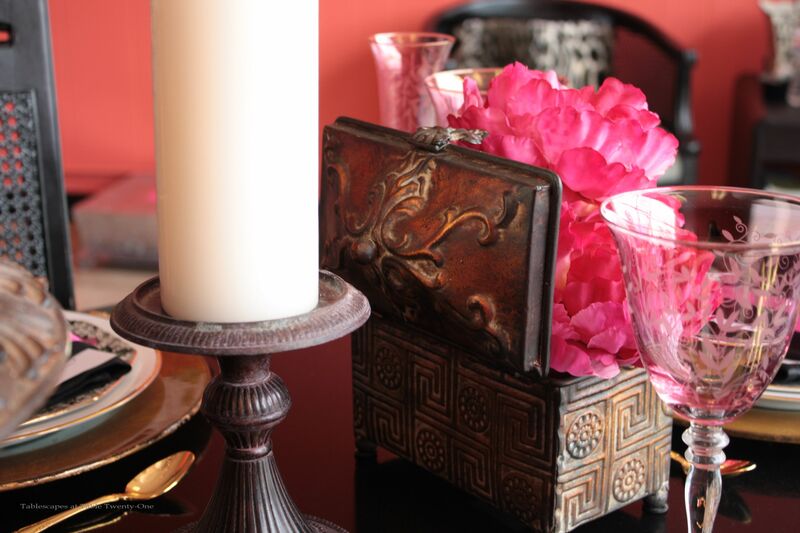 This truly was the center of the tablescape, with everything else being built around its simple beauty. 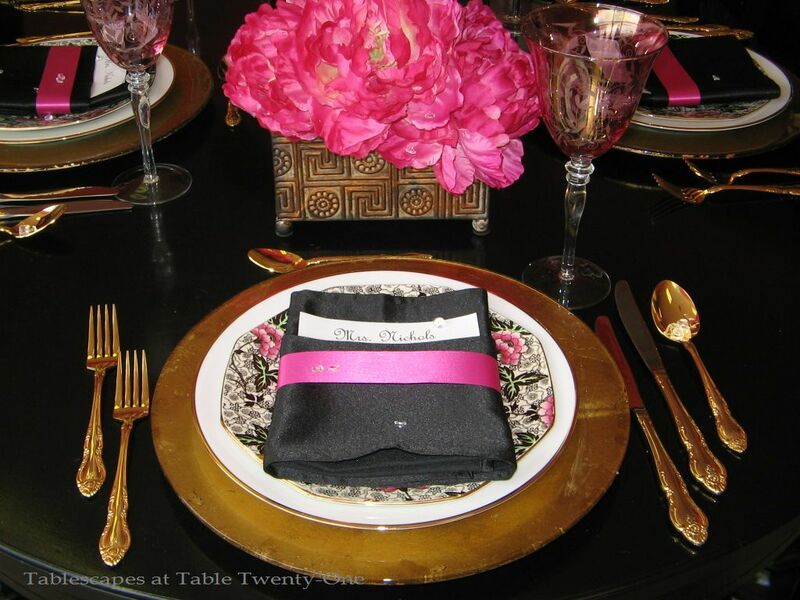 Iron candlesticks and treasure chests bursting with hot pink peonies rounded out the decorative centerpiece to complete the tablescape. I went with white rather than hot pink candles to maintain a bit of formality and so as not to overwhelm the look with too much of a good thing. Alycia, I live in Shawnee, I know this place, but never have had the opportunity to use their services. Nice to know it is there! Nice article you did on it. Hi Alycia, beautiful cakes and cupcakes. Wish we could go together for a testing, I’m a cake lover too. So beautiful, they don’t look real! But I would be happy to test them for you! Thank you so much for showcasing ICED ART and you are always welcome to Guava cake with white chocolate mousse filling!